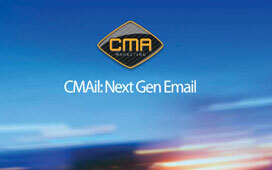 CMA have partnered up with one of the world’s largest email solution providers to bring you an unbeatable service. With CMAil, you have complete control of data lists and email campaigns from any computer, anywhere, at any time, as well as a wide range of e-mail options allowing you to gain the best possible results from each campaign. CMA have specific designed packages to suit every business’ needs, whether you just need the email platform to create and manage campaigns yourself or you could have one our trained employees managing your account, writing, building, testing and sending your email campaigns for you. To read more of CMAils system features or to see our packages, click here.